“Le manuscrit franciscain retrouvé,” Paris, Bibliothèque nationale de France, MS n.a.l. 3245 (formerly our manuscript TM 686) was without question the most important Franciscan manuscript ever offered for sale by Les Enluminures (indeed, it would not be an exaggeration to state simply that it was one of our most important manuscripts ever). 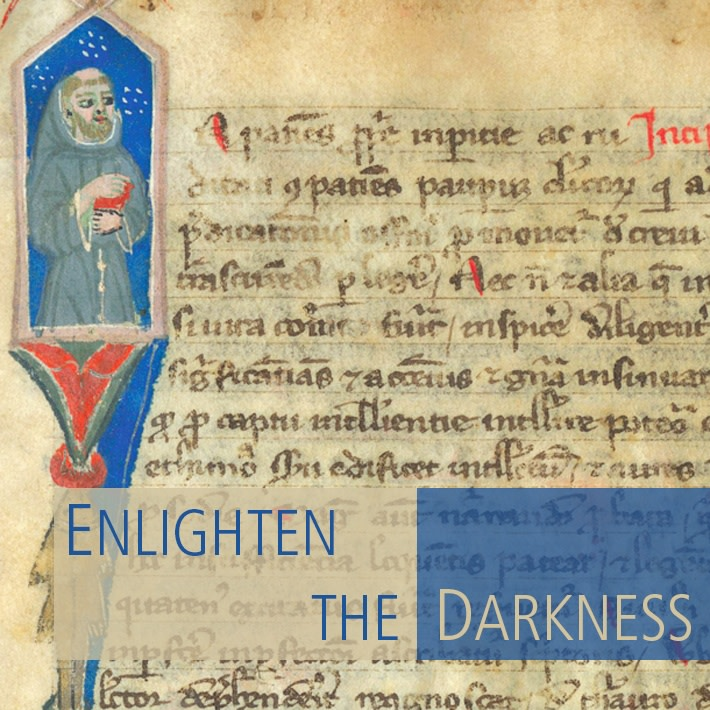 In honor of this manuscript, we present a small group of manuscripts that illuminate the place of books in Franciscan life in the Middle Ages. Franciscans turned to books daily, to guide their public and private prayers, as sources of spiritual renewal, as aids to preaching and confession, and for study. Highlights include: a delightfully illustrated fourteenth-century Mammotrectus, a Franciscan educational text, signed by the scribe who was the leader of a Franciscan convent in Umbria; a tiny thirteenth-century portable Bible from Spain with evidence that it was used by Franciscans; and a collection of sermons by an important Franciscan preacher, copied in Paris during the author’s lifetime.